Interestingly enough, when we were signing up for the event, we had no idea we were getting a 5 for 1 deal. Prysm Group, the organizers of this expo, are actually managing five different events under the same roof at the same time. There were literally hundreds of exhibitors and thousands of visitors at ExCel London during this 2-day event. The show was packed with keynotes and masterclasses, but the most interesting part was engaging in quick chats next to stands. And a nice stand we had – thanks to great help from organizers – Prysm Group, and our stand builders Skyline Whitespace. We received amazing support from them as we were preparing for the event, and it’s not an easy task planning a UK exhibition from Croatia. And while we may have had some fears or doubts whether everything will be set up according to plan, the process was so smooth we couldn’t believe it. This was our home for the two conference days, and it was a cozy one. 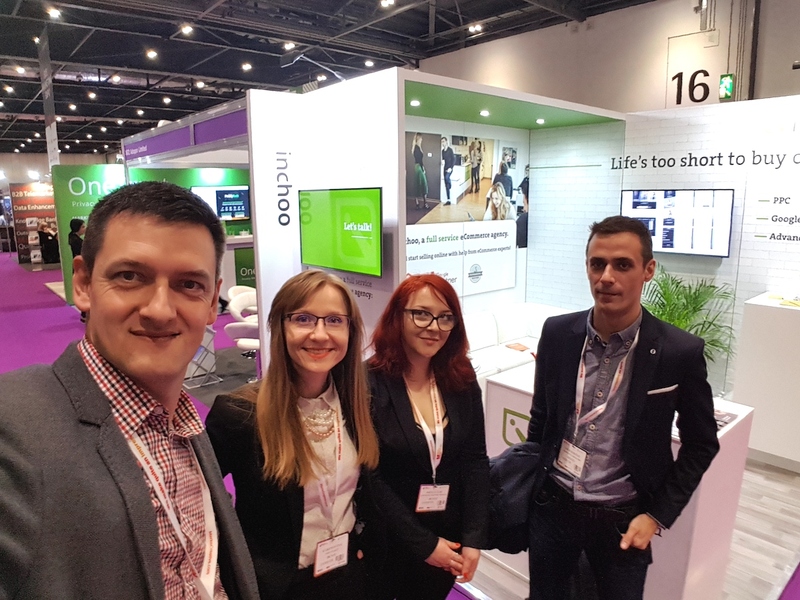 Vesna Mijatovic (Head of Sales), Andreja Cicak (eCommerce Marketing Specialist), Vanja Bunjevac (eCommerce Consultant and Digital Marketing Team Leader) and I were the team behind, in front of and around the stand. On the morning of Day 2, our Vanja Bunjevac took the stage. He prepared a talk entitled “Data-driven decision making: Embracing technology for triple-digit growth” where he shared examples of our work on utilizing machine learning in digital marketing to help our eCommerce clients grow their businesses. We had a nice footfall by our stand and very interesting conversations with dozens of visitors and fellow exhibitors. Events like these certainly help us see where we are compared to others, but they give us much more. We are also in a position to learn a lot, from others, but also about ourselves. Here are some of our takeaways from B2B Marketing Expo, and we can apply them to other events as well. Marketing, you say? What else do you offer? We learned that, coming into a marketing-specific event, it helps a lot if you also have other services to offer (development, UX design etc.). That’s how we were able to stand out from other agencies who were focused on marketing automation and enablement tools. Something we knew coming in, but was confirmed in a number of cases – save the pitch for your stand. If you’re delivering a presentation or a masterclass, share something useful for your audience. If they see you as knowledgeable and interesting, they will find you. Speakers who were using the stage to pitch their service/product saw people simply walk out of their talks, and rightly so. Better pack some (more) swag! We saw just how important swag is at these types of events. We did not have that many shiny things to hand out, but they can be very useful in attracting audience. Those may not necessarily be your MQLs (Marketing Qualified Leads) or SQLs (Sales Qualified Leads). We can call them Swag Collectors, as that perfectly describes them, but they’re people too. 🙂 Once we have their attention, we can open up various conversations. And make sure those swag items are small enough so they can easily fit in a conference bag. If you’re putting on a mask – you can be an astronaut or an alligator, but nothing beats a good, old nan. The guy from Kulea did an amazing job of getting the attention and then very smoothly presenting their solution. You guessed it, it was in fact a marketing automation software :). Think you can beat @Kulea_ma nan’s score? If you’re exhibiting, you should also speak! We prepared both of those – a stand and a talk. So – check! 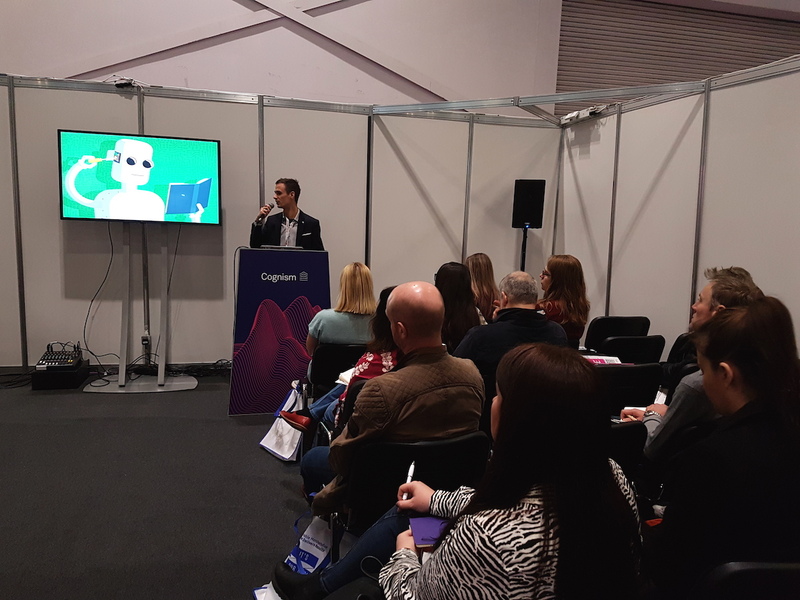 However, the more speaking opportunities you have or create for yourselves during an event of this type, the better the chance you’ll stand out from the crowd and get some new visitors to your stand. However, you have to pay special attention to the “no-pitch” advice mentioned earlier. What are we bringing home? We have some nice leads we’re going to follow up with, and our business card gathering teapot is already featured in our office. However, more important than some short-term gains, we see this event (and similar ones we will be attending) as an investment in getting our brand out there and becoming more visible to our target audiences. An increasingly important longer-term goal is establishing new partnerships with service providers in the broader eCommerce ecosystem. This is crucial because no agency is an island these days, and in most cases we will have to work together. It’s the only way we can all use our respective strengths and provide the best service to our clients. The needs for digital services in B2B businesses, both marketing and eCommerce, are rapidly expanding. That’s why we have to present a comprehensive, well rounded product and service offering to such clients. 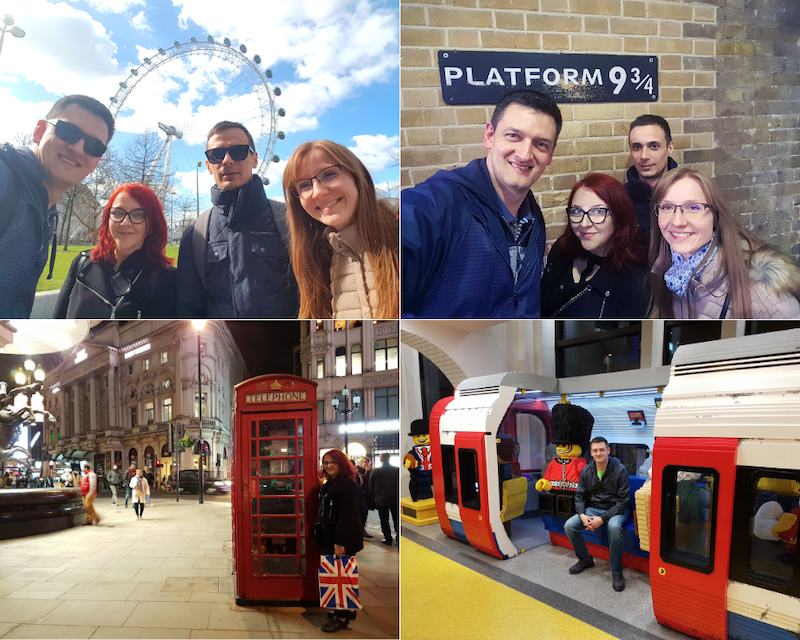 We also had some free time to enjoy the city, and with a strangely nice weather for late March, we made the most of it. London is definitely a city worth coming back to, for business or pleasure. We just need to be careful to mind the gap! See you again!